Azithromycin, a commonly-prescribed antibiotic, may trigger a potentially deadly irregular heart rhythm for some patients, the Food and Drug Administration (FDA) warned Tuesday. Azithromycin sold as Zithromax, Zmax or sometimes referred to as a "Z-Pack" is prescribed to treat bacterial infections such as bronchitis, pneumonia, or ear infections. The FDA is warning the public that the pills can cause abnormal changes in the heart's electrical activity that may lead to a fatal heart rhythm. This warning is based on findings from a study that compared the risk of death from heart related effects of azithromycin, levofloxacin, ciprolfloxacin, and amoxicillin. After 5 days of treatment, the risk of heart related death in patients treated with azithromycin was significantly greater than those who did not receive antibiotic and those treated with amoxicillin or ciprofloxacin. Not everyone is at risk. Patients with known risk factors such as existing QT interval prolongation, low blood levels of potassium or magnesium, a slower than normal heart rate, or those who use certain drugs to treat abnormal heart rhythms, or arrhythmias face the greatest risk. 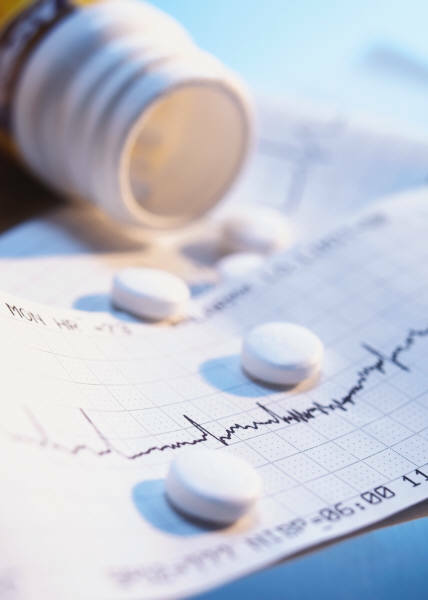 The FDA stated in its March 12 update that "health care professionals should consider the risk of fatal heart rhythms with azithromycin when considering treatment options for patients who are already at risk for cardiovascular events." A recently published article in the February 2013 issue of the Journal of Anesthesia explains further risk-factors and management for these deadly drug induced arrhythmias. Abnormalities of the QT interval can be acquired and are often drug-induced. Torsades de Pointes (TP) is an arrhythmia that is a result of aberrant repolarization or QT abnormalities. If not recognized and corrected quickly, QT interval abnormalities may precipitate potentially fatal ventricular dysrhythmias. This article describes the currently known risk factors for QT interval abnormalities and helps identify current drug-induced causes of acquired QT interval abnormalities, and recommends immediate and effective management strategies to prevent unanticipated dysrhythmias and deaths from QT abnormalities in the perioperative period. Shockingly, millions of Americans are at increased risk due to adverse effects from commonly used antacids. Proton pump inhibitors (PPI) are among the most frequently prescribed agents for heartburn and reflux. Included in this group are the over-the-counter (OTC) products Prilosec, Prevacid and prescription medications Nexium, Aciphex, Protonix, Dexilant and many generic equivalents that patients often use long-term. These patients are at increased risk for electrolyte disturbances including hypomagnesemia, hypocalcemia, hypokalemia. In addition, the risk of arrhythmia and other electrocardiogram abnormalities including prolonged QT interval is further aggravated by these electrolyte imbalances.